Travel planning for Chile and Argentina is difficult, bottom line. Although not massive countries by any means, both countries span from vast deserts to lush temperate rainforests and contain thousands of miles of coastline to an endless expanse of Patagonian landscapes and everything in between. 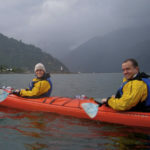 Along with diverse ecosystems there are wide-ranging cultural nuances from region to region as well, making it a fun, but difficult place to plan a trip (for more information on each unique region visit our Chile Trip Ideas landing page). On top of all that, logistical hurdles in terms of air travel can be confusing as many regions hub back to their respective capital city before onward travel is possible, and the two countries pair well together but not through obvious routing options. So not only are you not alone, but you’re not an incapable planner either. 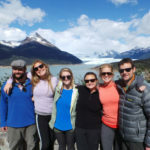 Half the time we hear, “I’ve never worked with a travel specialist, but I just feel like I want some help.” It’s just plain challenging, which is why we emphasize this three step planning process to breakdown how to plan a trip to Chile and Argentina that helps planning stay efficient and effective. 1) What are the best places to visit in Chile & Argentina? The Discovery Phase This is a common second question. Sadly, there is no straight answer. The answer lies in who you are, what things you like in your daily life, and what type of experiences and activities resonate best with you. When we receive email requests for Chile and Argentina, there is rarely the level of information needed to effectively understand who you are and what will be most inspiring to you in terms of overall trip composition and destinations. This is why we essentially demand a 10 to 15 minute discovery call where, after asking a few things about you and how you like to travel, we provide broad strokes of each region and then sit back and listen to what makes you tick. Gaining an overall understanding of which regions appeal to you, along with learning some basic information like hotel preferences and trip duration, give us a nice framework to expound upon. The goal of the discovery phase is to gain the necessary knowledge and understanding of the traveler from which to make an informed ‘skeleton’ itinerary or trip sketch. 2) How do you build the perfect itinerary for a customized trip to Chile and Argentina? The Skeleton Phase After a successful discovery phase, Knowmad Trip Specialists have the incredible ability to visualize the big picture, with an acquired understanding of trip pacing and the logistics of how best to marry regions, your trip begins to come together. In other words, the skeleton lays out your day-by-day flow by breaking down what you will be doing, where you will be and for how long. These allow for a true collaboration where feedback is gladly accepted and alterations are easy to make without the traveler getting bogged down in details, and without the specialist having to expend countless hours of work. As regional specialists, since we have direct knowledge and lots of first-hand experiences with all of our destinations this is both easy and fun. We get to feel a bit like mad scientists as we cook up different scenarios which eventually will become the most mind-blowing travel experience, one with the power to create lifelong memories and to be a highlight of peoples lives. Reminding myself of this with every skeleton re-inspires me without fail. 3) Turning dreams and ideas of travel to Chile & Argentina into reality. The Proposal Phase Once we have a skeleton, or bare bones overview that seems to be the ideal fit for the traveler, we can proceed to building a no-obligations detailed custom trip itinerary that includes rich detail of your trip, is very clear about inclusions and exclusions, and has the associated exact costing. This will also include suggested regional flights and, if requested, international as well. This document is the final product of our collaboration and will come to life in unimaginable ways once you arrive to Chile or Argentina. How should I prepare and what should I pack for my trip to Chile & Argentina? Once you have confirmed your trip, your pre-departure jitters and excitement will begin. Around this time we will send you a Trip Information Packet that includes a pre-adventure checklist, frequently asked questions and detailed packing information to help you prioritize where to begin. As your trip approaches you will find yourself furiously writing lists, triple checking all of your documents, and thinking about the in-country logistics. This is when you will receive your Buen Viaje package that includes a document containing your itinerary, a ‘don’t forget’ list, recommended restaurants, and arrival information. Below are the top three frequently asked questions we receive before our travelers hit the ground. For more Chile & Argentina pre-departure information visit our FAQs page. Do Chile and Argentina have any Visa requirements or is there anything I need to do ahead of time to get into the country? For Chile: Upon arrival you will be granted a 90-day tourist visa. There is no reciprocity fee for U.S. citizens traveling to Chile. Regarding visas, there are no other pre-departure actions needed other than ensuring your passport is valid at least 6 months beyond the dates of travel. For Argentina: United States citizens do not need a visa and do not have to pay a reciprocity fee in order to enter Argentina. Visitors from Canada and Australia must pay a reciprocity fee online prior to arrival in Argentina (Canada: $72 USD, Australia: $100 USD). If you are a Canadian or Australian national, please ask your Knowmad Adventures Operations Specialist for instructions on how to pay this fee. You should ensure your passport is valid at least six months after your departure date, and also have proof of onward passage. Do I need a converter/adapter for my camera and other electronics in Chile and/or Argentina? For Chile: To charge things in Chile you’ll need a plug adapter (Chile’s plugs are two pronged, wider set and have round prongs) to make the appliance fit the socket. A converter is also a good idea to convert the voltage to 220 volts. Many higher-end electronics like cameras and phone chargers will accept 220 volts without damage, while cheaper hairdryers and curlers of 110 volts will likely fry without a converter. If you can, bring extra batteries and avoid having to charge things. For Argentina: To charge things in Argentina you’ll need a plug adapter. Argentina uses two types of plugs “Type C” (two pronged, wider set and have round prongs) and “Type I” (two flat pins in a V-shape as well as a grounding pin). A converter is also a good idea to convert the voltage to 220 volts. It is recommended to purchase an all-in-one universal adapter and converter kit ($10 USD). This is a single device that adapts/converts power for multiple countries. What should I pack for a trip to Patagonia? What’s the weather like in Patagonia? The dry summer season is November through March, but it can rain any time of year and can also get windy. Layerable, non-cotton clothing designed for hiking and athletics with a rain shell is the recommended outfit for a day in the Patagonia. Daytime temperatures during this season are typically in the 50s and 60s F (10-16 C). The Northern Patagonia is similar to Southern Patagonia but a bit warmer and wetter. If visiting Patagonia, a rain layer is an especially good idea. It may seem overwhelming, but with a clear cut, tried and true process allied with intimate knowledge of the area and years of experience crafting trips, it can be not only easy but fun and ultimately rewarding to plan a trip that is truly unique and ultimately reflects your individuality. So if you’re ready to build an Argentina or Chile experience, feel free to give us a call so we can collaborate and create. It’s what we love to do.